Six Sigma is one of the most well-known methods to continuously improve operational excellence. Even if you don’t use this statistical method, it’s DMAIC* cycle is a valuable approach for any continuous data driven improvement project. In the world of Big Data and Industry 4.0 new ways for data driven continuous improvement surface, allowing subject matter experts such as process engineers contribute continuously to operational excellence. In strive for operational excellence, organizations find themselves often in a ‘chicken and the egg’ situation. The organization requires a continuous improvement mind-set with contribution by all employees to meet the goals. On the other hand, process and asset experts have a hard time contributing, especially when statistical expertise or data science skills are needed. With use of self-service industrial analytics this dilemma can be overcome, allowing each production site to do more continuous improvement projects, faster. We will explain how TrendMiner can be used in each phase of the DMAIC cycle. Along a practical use case we show how specific key capabilities are applied in each phase. Learn how self-service analytics can be applied to each production site, so they can run OpEx programs autonomously with just a little bit of support from the central group. Both webinars only take 30 minutes including 10 for your questions. This will give you quick answers for your role in the organisation. We immediately show how TrendMiner can be practically used in each phase of the DMAIC cycle, through a practical use case. Straight to the point for the Process Engineer or for the Operational Excellence manager, with downloads for those who attend. 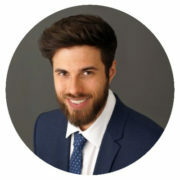 Artur Beyer is a chemical engineer with a passion for helping companies to improve their profitability through analytics. Having specialized in process control and optimization, Beyer began studying data science with respect to predictive maintenance — but when he encountered TrendMiner, he moved directly into the world of self-service data analytics. In the last two years, Beyer has assisted leading manufacturers in implementing TrendMiner to improve their production processes. Today, his focus is on analyzing the specific challenges affecting the chemical industry and finding solutions to them. Beyer holds a master’s degree in chemical engineering from the Technical University of Dortmund. 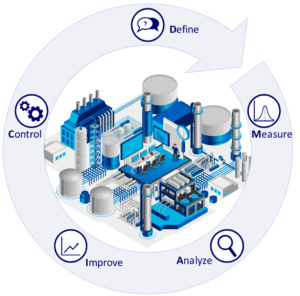 At the heart of Six Sigma is the well-known Define Measure Analyze Improve Control (DMAIC) Cycle which is at centre stage in order to achieve organizational wide continuous improvements. Even if you do not follow the six-sigma method the DMAIC cycle is a valuable approach for any continuous data driven improvement project.